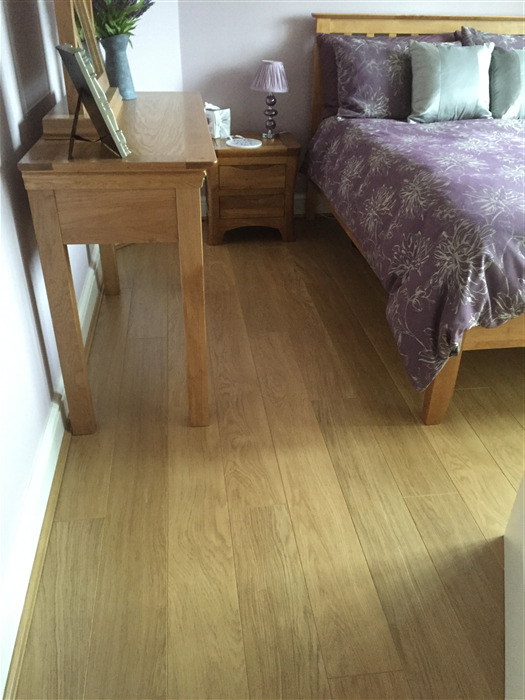 Quickstep Perspective Natural Varnished Oak Laminate is perfect for you if you’re after the look of a traditional oak floor with the modern convenience of laminate boards. These super tough boards are made with wide dimensions, which makes them perfect for spacious rooms. 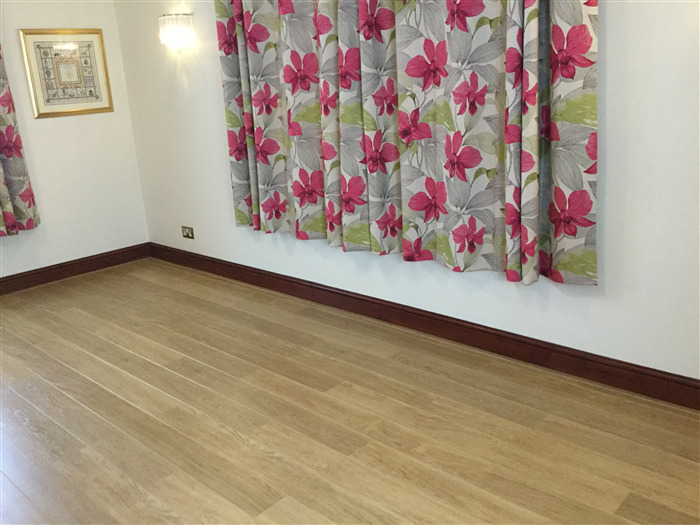 The warm and uniform colour is a perfect imitation of a traditional varnish, but this floor has a 25 year domestic warranty and is resistant to scratches and splashes. Husband says very easy to lay. Very durable surface, even with dogs running over. Laid on top of bare floorboards with the basic underlay underneath and is wonderful. Home warmer already. Light catches the flooring - do not want to lay all my rugs on too of it now; it looks so good. Very easy to clean also. 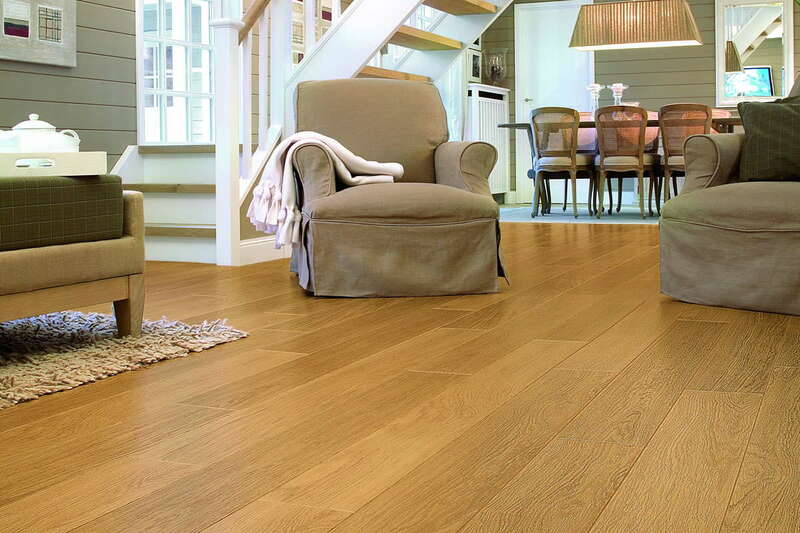 Hi Izzy, This laminate floor doesn't feature any knots, but it's always worth ordering a sample to make sure it's got the kind of surface you're after. As for the family visits - this is a very resilient floor (rated 4/5 for durability) so it'll certainly cope with the grand kids. It's much more scratch resistant than a real wood floor, but we still recommend trimming pet's claws, as sharp claws can scratch even the toughest floors over time. Hope that helps. Hi Michael, I'm sorry but that version was discontinued in 2014 and we've not got any stock available. I hope one of our other floors will do the job just the same, good luck with your search. hi, could you give me a price on these please. 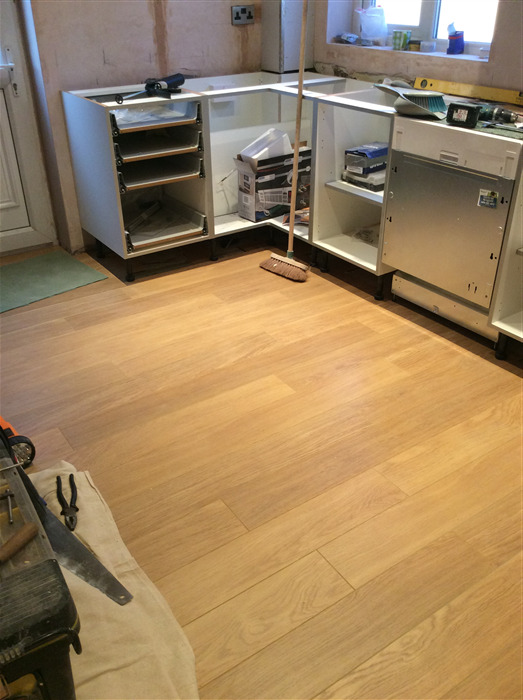 10 packs, of natural varnished oak UF896.. 18 metres of scotia trim to go with floor, and 3 packs of fibreboard. many thank,s. Of course, £424.44 If you email us your address details we can very quickly and easily raise a quote for you. I understand that you no longer supply the 2 bevel perspective floor but only 4 bevel. I am worried about potential chipping of the laminate around the bevel and wanted to confirm that this is included in the 25 year guarantee. For example would movement of furniture potentially chip the floor surface round the bevel?? Hi, I have 3 samples UF896 and UL896 from you and when I compare them with some existing flooring that I have they appear 1mm thinner. 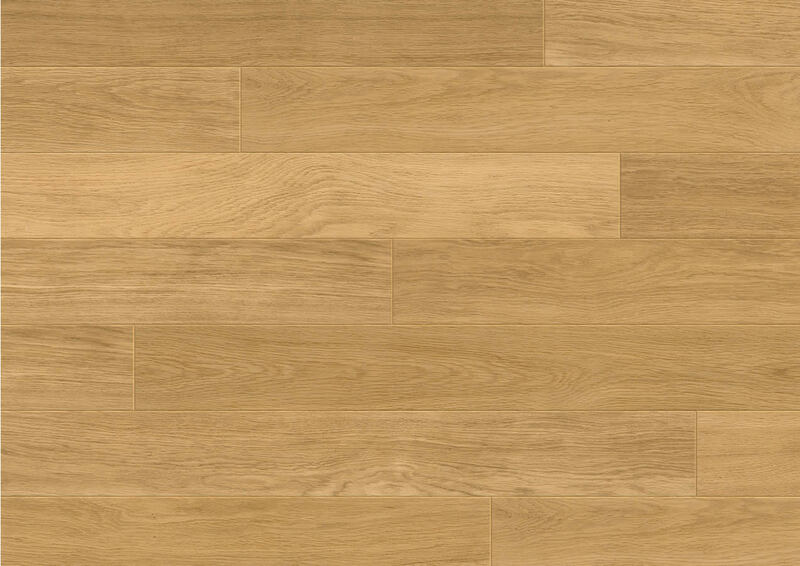 Is Quickstep Perspective UL896 now being made thinner?My existing has the same name and references. As the pieces have a bevel I could get away with it but a perfect match would be better. Too my knowledge it's always been made to 9.5mm thick. Could it not be the Quickstep Eligna range (same decors but without a bevel) which was formally known as Quickstep Classic 800?